Intra-articular tophaceous gout of the knee should be considered in a patient with a history of gout with knee pain and mechanical symptoms and, if suspected, these tophaceous deposits can be managed successfully with arthroscopic debridement. Authors: University of Oklahoma, Department of Orthopedic Surgery and Rehabilitation, United States. 800 Stanton L Young Blvd, AAT-3400, Oklahoma City, Oklahoma, 73104, United States. Introduction: Surgical management of intra-articular tophaceous gout has been previously described but not widely reported in the literature. Therefore, when faced with clinical decision-making regarding this entity, the surgeon may be unfamiliar with the diagnosis, appropriate management, and outcomes related to treatment. Case Report: A 42-year-old male oil field worker who presented with the right knee intra-articular tophaceous gout deposits resulting in mechanical symptoms. The pathology was diagnosed intraoperatively while performing knee arthroscopy for what was presumed to be a meniscal tear. The patient underwent arthroscopic debridement of the tophi and partial meniscectomy. The tophaceous gout deposits were debrided with an arthroscopic liberator which allowed for the protection of the underlying articular cartilage. Postoperatively, he was begun with aggressive range of motion exercises and was referred to a rheumatologist for gout medical management. The patient improved significantly in regard to pain and range of motion and was able to return to full duty by 6weeks postoperatively. Conclusions: Tophaceous gout of the knee can mimic intra-articular pathology and may be encountered unexpectedly when performing a knee arthroscopy. The treating surgeon should be aware of the potential for this condition and understand that surgical intervention, when combined with appropriate medical management, can yield favorable clinical results. Gout is a relatively common condition in the population today affecting an estimated 8 million Americans. This condition is caused by elevated levels of uric acid in the blood, which likely occurs secondary to a combination of diet and genetic factors. Other factors that can be associated with an increased risk of gout include poor dietary management, obesity, metabolic syndrome, Type II diabetes mellitus, chronic kidney disease, medications, and certain types of malignancies . Acute gouty arthritis typically presents with the sudden onset of a painful, erythematous, and swollen joint. Classically, the most common joint to initially be involved is the 1st metatarsophalangeal joint, but other joints may also be involved . 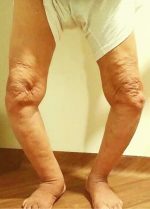 Acute gouty arthritis is typically monoarticular, however, with subsequent episodes, multiple joints can be affected. Acute gout flares can be diagnosed with microscopic viewing of negatively birefringent crystals from a joint aspirate . Tophaceous gout can present with pain, locking of joints, subcutaneous nodule formation, joint destruction, soft tissue deformity or contracture, and nerve compression syndromes. Medical management of acute gouty arthritis is primarily with non-steroidal anti-inflammatory drugs(NSAIDs) as a first-line agent and colchicine and corticosteroids used as alternative therapies . Once the acute attack has subsided, medications such as xanthine oxidase inhibitors (allopurinol and febuxostat) and uricosuric drugs (probenecid and sulfinpyrazone) can be used, in addition to lifestyle changes, to prevent recurrent attacks . In general, the treatment of tophaceous gout has been managed medically with xanthine oxidase inhibitors . It is not uncommon, however, for the initial diagnosis to be made as an unexpected finding during routine knee arthroscopy, indicated for the treatment of a presumed meniscal or articular cartilage injury our disorder . 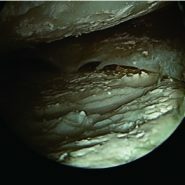 Arthroscopic intervention for tophaceous deposits of the knee has been reviewed in the literature, mostly through case reports.In general, arthroscopy for tophaceous lesions resulting in mechanical symptoms can result in relief of symptoms[4, 5, 6]. In addition, medical management of this condition is paramount even after surgical intervention. We present a case of intra-articular tophaceous gout causing mechanical symptoms managed arthroscopically.In addition, we reviewed the literature on intra-articular tophaceous gout causing mechanical symptoms to help develop a treatment algorithm for patients with this condition. Our patient is a 42-year-old male who initially presented to our clinic with a 5-year history of intermittent right knee pain.His medical history was significant for gout, managed with allopurinol, and he had previously undergone a nephrectomy to treat chronic renal disease. He denied any prior trauma to his knee but has worked in an oil field for his entire adult life. 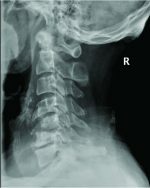 He reported a 2-month history of acute worsening of his pain as well as catching and locking symptoms that preceded his initial orthopedic assessment. He presented to our emergency room before orthopedic assessment due to sudden onset of right knee pain; blood tests revealed a uric acid level of 7.4 (normal) and a knee aspiration by the emergency room physician showed the presence of negative birefringent crystals. Pre-operative clinical examination of his right knee examination was significant for an effusion with medial greater than lateral joint line tenderness to palpation. His active and passive range of motion was 20–90°,limited by pain. He had pain medially with McMurray testing and was ligamentously stable. He had no palpable gouty tophi within the knee and there was no evidence to suggest gouty tophi present anywhere else on his body. Weight-bearing knee radiographs showed mild tricompartmental degenerative changes with osteophyte formation. Magnetic resonance imaging (MRI) of the right knee displayed tears along the posterior horn of both menisci and mild thinning of the articular cartilage of the medial and lateral femoral condyles and mild osteophytoses. Given the patient’s presentation and new onset of mechanical symptoms, a diagnosis of symptomatic meniscal tearing in the setting of chronic degenerative osteoarthritis was made. The possibility of a gout flare was also discussed but thought unlikely due to the combination of his new mechanical symptoms with a negative prior history of knee involvement. After counseling of management options was completed, a trial of conservative care was initiated. He was given a combined injection of a hyaluronic acid viscosupplementation and corticosteroid to treat his pain and inflammation and a guided course of physical therapy was started. Topical anti-inflammatory medication was also prescribed as oral NSAIDs were contraindicated post nephrectomy. 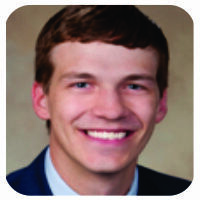 At his 4-week follow-up appointment, he reported improvement in pain but was still experiencing mechanical symptoms and pain limiting his ability to adequately perform his job. His right knee examination showed improved range of motion but continued swelling and tenderness centered over the joint lines. At this point, the decision was made to proceed with arthroscopic treatment with the goal being to return him to full duty and normal activities. During routine arthroscopy, extensive gouty tophi were noted diffusely throughout the knee including widespread involvement of both femoral condyles and menisci. The meniscal lesions were on the surface of the menisci as well as within the meniscal tears (Fig. 1a, b, c, d, e, f). Furthermore, noted were the expected posterior horn medial and lateral meniscal tears with tophaceous deposits within the tears. Partial meniscectomies were completed, followed by extensive debridement and excision of the tophi from the articular surface and menisciutilizing a standard arthroscopic shaver and a curved liberator typically used during shoulder arthroscopy. At his initial 10-day post-operative visit, he reported significant pain relief and resolution of his mechanical symptoms. Aggressive physical therapy was initiated as well as a rheumatology referral for medical management of his severe gouty arthritis. By his 6thweek after surgery, he had full range of motion compared to the contralateral side and his activity-related soreness was well-managed with over the counter analgesics, and he was returned to full duty at his job. 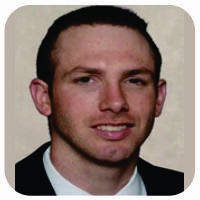 At final follow-up at 3 months, he continued to have full range of motion with no pain or issues with while working his job in the oil field. Gout is a common condition in the population today. Synovial fluid analyses performed on asymptomatic patients during the intercritical period (time between attacks or flares)have demonstrated elevated levels of monosodium urate crystals, possibly contributing to tophi formation . Intra-articular gouty deposits can occur in patients without previous gout attacks . Diagnostic imaging may be of some benefit. Tophi are radiolucent and are unable to be visualized with radiographs. Previous studies have investigated the diagnosis of gouty tophi by the use of advanced imaging. Ko et al. showed that MRI findings of gouty tophi can be non-specific but can have low-intermediate signal intensities on T1-weighted images and low-intermediate heterogeneous signal intensities on the T2-weighted images. On review of our patient’s MRI by both the treating surgeon and multiple radiologists, there were no signs consistent with gouty tophi but rather that of meniscal pathology. Knee pathology due to intra-articular gouty tophi is difficult to diagnose with physical examination alone, as it may mimic other conditions. If the patient is not having an acute gout attack, the knee is unlikely to be erythematous or extremely painful. As previously described and demonstrated with our patient, intra-articular tophi can lead to limited knee range of motion with a physical examination concerning for a loose body, meniscal pathology, ligamentous instability, or a tumor-like condition [5, 6, 11, 12, 13, 14]. Treatment of intra-articular gouty tophi within the knee joint has been reviewed in the literature. These patients can be managed non-operatively as shown by Chatterjee and Ilaslan who reported one case of intra-articular gouty tophi which were successfully treated medically with allopurinol alone for 3 months, without arthroscopic knee surgery . Other reports have shown benefit with arthroscopic intervention. Aoki et al. performed a partial meniscectomy and synovectomy for intrameniscal gouty tophi with a presentation similar to our patient . That resulted in resolution of pain and mechanical symptoms at follow-up.Espejo-Baena et al. treated a patient with gouty tophi on the surface of the meniscus with arthroscopic resection, which also resulted in alleviation of the patient’s symptoms. Li et al. described a case in which a patient was misdiagnosed with a synovial tumor causing a mechanical block to range of motion. After arthroscopic excision of the tophaceous mass, the patient had resolution of symptoms and restoration of normal range of motion. Pan et al. reviewed 41 patients with gouty deposits who underwent arthroscopic debridement and irrigation which resulted in significant improvement in pain and range of motion. In their review, there were 13 cases which resulted in recurrence postoperatively . In the case of our patient, the diagnosis of significant intra-articular gouty tophi covering the articular cartilage and menisci was made intraoperatively. 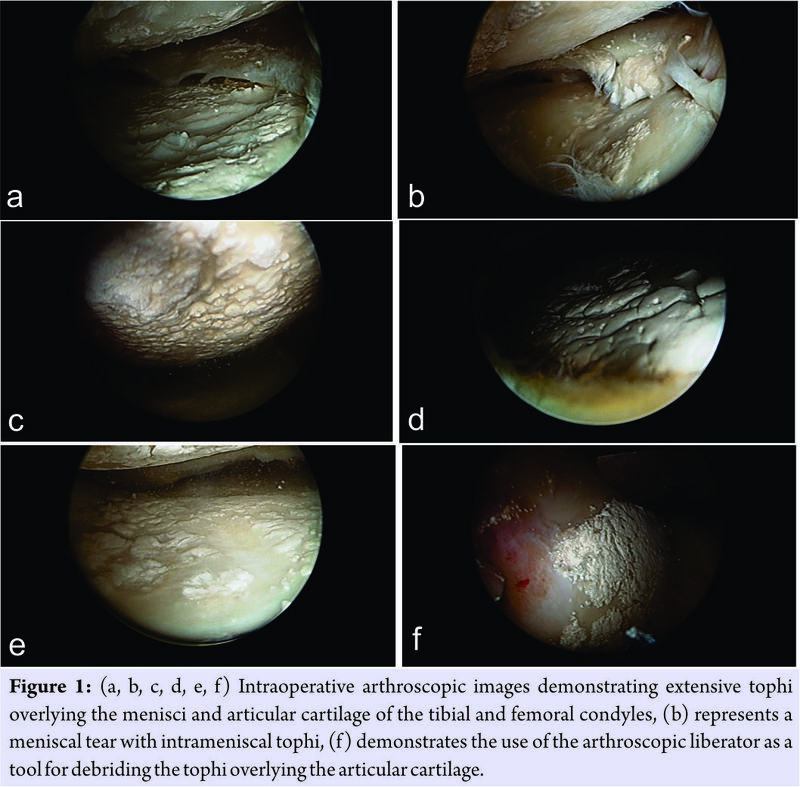 Successful clinical results were obtained by arthroscopic debridement of the tophi overlying the articular cartilage and menisci as well as partial meniscectomy for any associated meniscal pathology. When debriding the tophi from the femur and tibia, the surgeon must be mindful of the underlying articular cartilage and avoid iatrogenic damage which could lead to a poor clinical outcome. We describe the use of a curved arthroscopic liberator which is typically used during shoulder arthroscopy (Fig. 2). This tool was very effective at debriding the tophi while avoiding iatrogenic damage to the cartilage potentially occurring with the use of an arthroscopic oscillating shaver. In addition to the debridement of the tophi, performing a synovectomy at the time of surgery has also been described . In our patient, debridement of tophi and menisci alone without synovectomy was sufficient to relieve pain/mechanical symptoms. Postoperatively, it is imperative for the patient to begin immediate, aggressive physical therapy to regain knee range of motion and maximize outcomes. In addition, we recommend referral to a clinician capable of medical management of gout. Intra-articular gouty tophi can produce mechanical symptoms, often mimicking other intra-articular pathology complicating diagnosis and management. Although MRI can be helpful, it is not always diagnostic of gouty tophi, and the physician should be mindful of this in their differential when evaluating a patient with a history of gout. We recommend treating patients with gouty tophi leading to mechanical symptoms with thorough debridement of the tophi followed by aggressive physical therapy to regain normal range of motion. 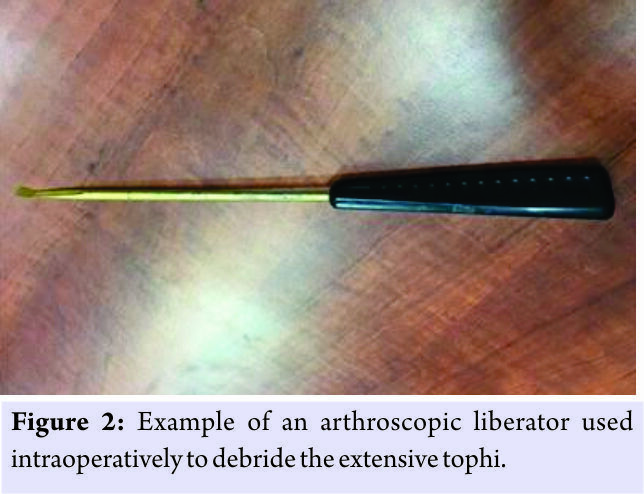 Use of the arthroscopic liberator to debride the tophi overlying the articular cartilage proved to be an effective tool to help prevent iatrogenic damage to the underlying articular cartilage. After surgical intervention, it is very important for the patient to establish follow-up with a physician familiar with the medical management of gout. 1. Choi HK, Mount DB, Reginato AM, American College of Physicians, American Physiological Society. Pathogenesis of gout. Ann Intern Med 2005;143:499-516. 2. Richette P, Doherty M, Pascual E, Barskova V, Becce F, Castañeda-Sanabria J, et al.2016 updated EULAR evidence-based recommendations for the management of gout. Ann Rheum Dis 2017;76:29-42. 3. Hussin P, Mawardi M, Nizlan NM. The ‘chalky culprit’ of acute locked knee. G Chir 2014;35:239-40. 4. Aoki T, Tensho K, Shimodaira H, Akaoka Y, Takanashi S, Shimojo H, et al. Intrameniscal gouty tophi in the knee: A Case report. 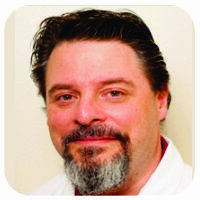 JBJS Case Connect 2015;5:e74. 5. Espejo-Baena A, Coretti SM, Fernandez JM, Garcia-Herrera JM, Del Pino JR. Knee locking due to a single gouty tophus. J Rheumatol 2006;33:193-5. 6. Li TJ, Lue KH, Lin ZI, Lu KH. Arthroscopic treatment for gouty tophi mimicking an intra-articular synovial tumor of the knee. Arthroscopy 2006;22:910.e1-3. 7. Chatterjee S, Ilaslan H. Painful knee locking caused by gouty tophi successfully treated with allopurinol. Nat Clin Pract Rheumatol 2008;4:675-9. 8. Pascual E, Batlle-Gualda E, Martínez A, Rosas J, Vela P. Synovial fluid analysis for diagnosis of intercritical gout. Ann Intern Med 1999;131:756-9. 9. Yu KH. Intraarticular tophi in a joint without a previous gouty attack. J Rheumatol 2003;30:1868-70. 10. Ko KH, Hsu YC, Lee HS, Lee CH, Huang GS. Tophaceous gout of the knee: Revisiting MRI patterns in 30 patients. J Clin Rheumatol 2010;16:209-14. 11. Hammoudeh M, Siam AR, Shah S. Intra-articular tophus presenting as a loose body. Clin Rheumatol 1998;17:400-2. 12. Kobayashi K, Deie M, Okuhara A, Adachi N, Yasumoto M, Ochi M, et al. Tophaceous gout in the bipartite patella with intra-osseous and intra-articular lesions: A case report. J Orthop Surg (Hong Kong) 2005;13:199-202. 13. Kijkunasathian C, Woratanarat P, Saengpetch N. Gouty tophi caused limited knee range of motion: A case report. J Med Assoc Thai 2009;92 Suppl 6:S264-7. 14. Yu KH, Lien LC, Ho HH. Limited knee joint range of motion due to invisible gouty tophi. Rheumatology (Oxford) 2004;43:191-4. 15. Pan F, Li Q, Tang X, Xue J, Li J. Method and effectiveness of arthroscopic debridement for treating gouty arthritis of the knee.Zhongguo Xiu Fu Chong Jian Wai Ke Za Zhi 2011;25:937-40. How to Cite This Article: Steinmetz R G, Maxted M, Rowles D. Arthroscopic Management of Intra-articular Tophaceous Gout of the Knee: A Case Report and Review of the Literature. Journal of Orthopaedic Case Reports 2018. Mar- Apr; 8(2): 86-89.